In today’s age, sugary and sweet drinks are ubiquitous, especially in advertising on children’s shows. Sugary drinks have been tied to health problems such as diabetes, obesity, and attention disorders. While it’s not deemed as “cool” as some of its sugary drink counterparts, water keeps your body hydrated without the negative side effects. The British Government’s Chief Obesity Advisor, Professor Susan Jebb, issued guidance saying that parents should introduce strict rules about sugary drinks – limiting juice to one small glass a day with breakfast, and making water the mainstay. Put water in an attractive cup (children love having cups with brightly colored animal pictures or favorite TV characters on), add a novelty straw, use amusingly-shaped ice cubes, or add pretty pieces of fruit like strawberries. This might not persuade cynical adults to up their H20 intake, but is an easy to way to make water appeal to younger children. Don’t stock your fridge with with fizzy sodas and colorful fruit juices – if you want them, but don’t want your kids to drink them, put the bottles somewhere they can’t see them. But it’s probably best to clear the offending items from the house altogether: children are rather good at tracking down hidden treats, and it’s best to be a be a role model. If they see you drinking water, they’re more likely to follow. If you do want to let your children have fizzy drinks on occasion, encourage them to drink a big glass of water beforehand – once they’ve quenched their thirst, they are much less likely to binge on the sugary stuff. Preaching the virtues of water might sound like a sure way to put your children off it forever, but kids are often genuinely interested in the human body. Take them to the library and get some books on how the body works and nutrition. Teach them how important it is to stay hydrated – even a grumpy teenager might decide to dump the cola if they realize it’s giving them acne . Depending on where you live, water straight from the tap can be an unappealing prospect. Cold drinks are often more attractive to kids, especially in summer, so freeze your children’s water bottles before school (they’ll have defrosted by lunch) and stick a jug in the fridge that they can access. 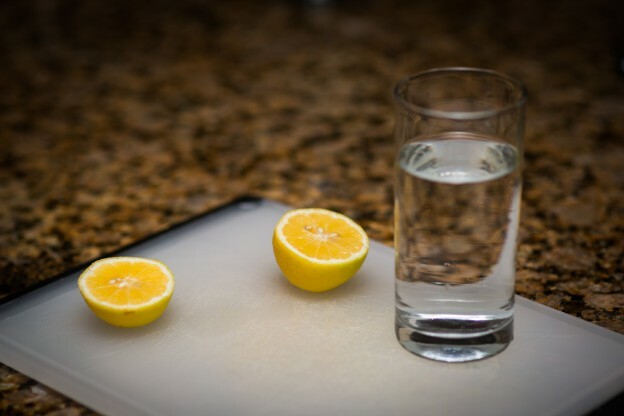 Filtered water might also taste a little better, while adding lemon and lime slices can add a fruity flavor with far less sugar than squash or juice. 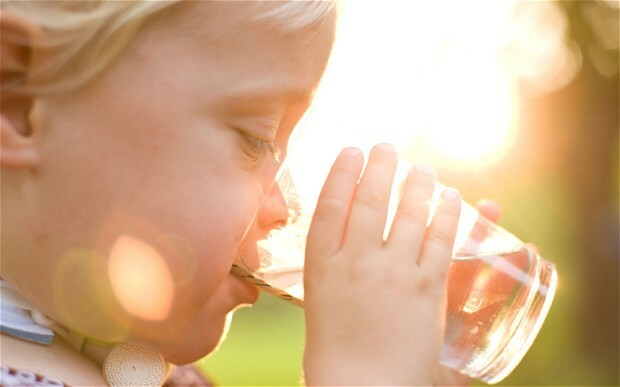 The best thing you to can do to encourage your children to drink water is to make it accessible . If they’re playing outside, give them bottles; at dinnertime, put a big jug on the table. If everyone in the family is drinking water constantly, they’ll get used to topping their water levels up. 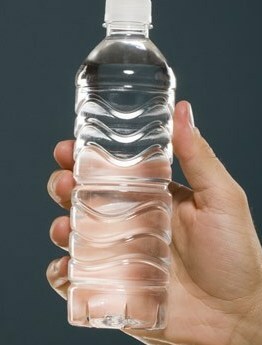 Resist the temptation to nag, or to focus on the fact that you want the kids to have water instead of sugary drinks. Encourage them to think about the health benefits , and treat drinking water as a normal part of the day, rather than as a chore. It’s probably a bad idea to throw all the sugary drinks into the trash overnight and announce the next day it’s a water-only house. Start by making sugary drinks an occasional or weekend treat, rather than an everyday habit, serve them in slightly smaller glasses and offer your children the less-bad options, like weak squash instead of fizzy drinks. At the same time, introduce jugs of water to the house. If your child is really fussy, start watering down their juice or squash a little more every day, until eventually they are drinking straight water. This entry was posted in Children and tagged children, diabetes, drinking water, obesity, parents, sugar drinks on June 30, 2014 by Drink H2O. myFOXla.com: Residents in a number of inland areas are dealing with some seriously stinky water, the result of a summer algae bloom in a state reservoir. Silverwood Lake, the highest elevation reservoir in the state water project is suffering from an abundance of blue-green algae caused by warmer temperatures, possibly the result of global climate change. The algae makes the water from the reservoir smell and taste musty during the heat of summer, according to the Metropolitan Water District. Affected areas include Claremont, La Verne, Walnut, Diamond Bar, Rowland Heights, Upland, Chino, Chino Hills, Rancho Cucamonga, Fontana, Riverside, Corona, Norco, Eastvale, Jurupa Valley, Lake Elsinore, Hemet, Perris, Murrieta and Temecula. The MWD says there is no health risk from drinking the water, although it may be somewhat unpleasant. The Department of Water Resources is planning to spot treat the reservoir this Thursday and Friday with a form of hydrogen peroxide which will neutralize the overgrowth. While the water is safe to drink, some water agencies are recommending refrigerating the water to get rid of some of the nasty smell and taste. What Are the Effects of Algae In Your Water? 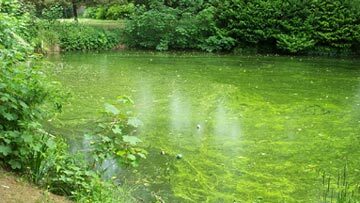 Blue-green algae, otherwise known as cyanobacteria or “pond scum,” are microscopic organisms that thrive in pools of standing water when exposed to sunlight during the warmer months of the year. Although they are not typically seen in homes, they are common in ponds and other standing bodies of water. Unfortunately in this case, they have thrived in the reservoir from which we get our drinking water. Algae can cause drinking water to change color, but in most cases it is undetectable. Only in extreme situations will the blue-green or yellowish-brown tint of an algae infestation become visible in faucet water. Algae-infested water may also produce scum. Algae in drinking water don’t give off an odor until the problem is quite severe. In such situations, according to the government of New Brunswick, it will smell like freshly cut grass; in extreme cases, it will cause drinking water to smell like sewage or garbage. 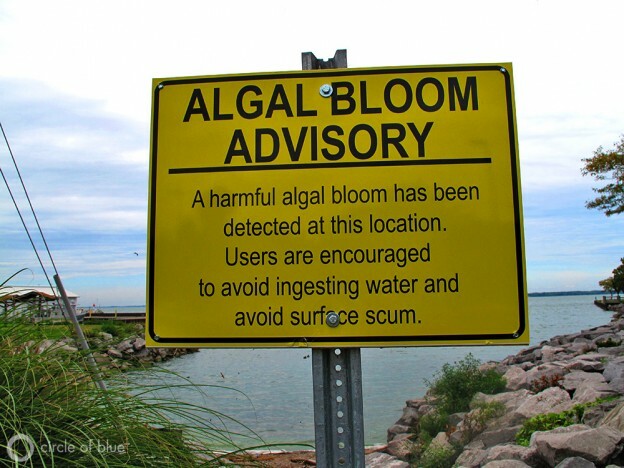 While not all algae produce toxins, it is not easy to tell the nontoxic type from the more dangerous algae. Toxic chemicals released by algae can lead to a number of health problems. If too much is ingested, it can kill animals. According to the Florida Department of Environmental Protection, humans who drink water poisoned by algae toxins can experience a litany of health issues . This includes long-term problems with the liver, digestive and nervous systems, including liver cancer. Other issues that can come up include headaches, sore throat, fever, vomiting and diarrhea. 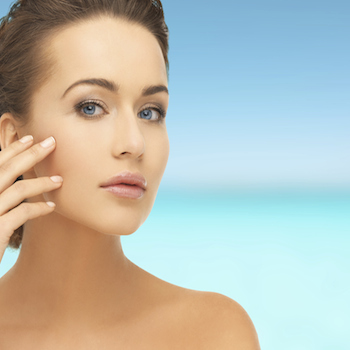 Contact with the algae toxins on the skin can lead to hives and rashes. Check out our Aura H2O Water Filter which can remove these harmful microorganisms from your drinking water. Our filter uses a 14-step, 3 phase filtration technology that removes the contaminants and remineralizes your water, producing the certified healthiest water possible. This entry was posted in Tap Water, Water Filter and tagged algae, algal bloom, blue-green algae, cyanobacteria, digestive system, drinking water, liver, liver cancer, Los Angeles, nervous system, Orange County, Riverside, San Diego, smelly water, tap water, water filter system on June 25, 2014 by Drink H2O. Living an alkaline lifestyle goes beyond just drinking alkaline water, you also need to make sure your getting antioxidant-promoting foods in your diet . These foods may help neutralize potentially toxic dietary acids, potentially supporting organ health and trimming body mass. The typical American diet is full of foods like meat and dairy products that tend to increase the acidity of your blood. Recent research suggests that eating too many acid-promoting foods can potentially damage your kidney and liver and may even raise diabetes risk. But you can help negate acid’s negative effects on the body by balancing your diet with foods that promote an alkaline body environment. Our Aura Alkaline Water Filter can provide you with these benefits through water. Unlike foods, our antioxidant water is quickly absorbed into the bloodstream and can provide immediate benefits. Adding more of these 25 foods into your diet could help support organ health and trim your body mass. 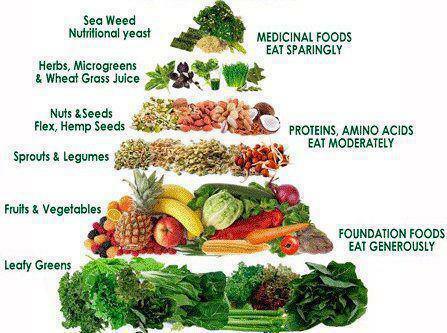 We took a look at Dr. Ozs 25 most alkaline promoting foods. The foods are ordered from most neutral to most alkaline-promoting. This entry was posted in Antioxidant, Diet and tagged acid, acidity, alkaline, antioxidant, apples, apricots, asparagus, bananas, broccoli, carrots, cauliflower, celery, cherries, diet, draft beer, foods, green beans, hazelnuts, health foods, honey, margarine, marmalade, mineral water, potatoes, radishes, raisins, red wine, spinach, tomatoes, watermelon, white wine, zucchini on June 24, 2014 by Drink H2O. 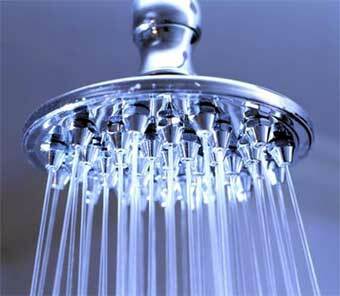 Is Your Shower Water Making You Sick? The condition of the water we drink, bathe in, and with which we cook is crucial to our health. Many people know about the dangers of pathogens or major contaminants in our drinking water, but the voluntary addition of chemicals such as chlorine by local governments can also affect our well being. Chlorine is used in public water supplies around the country to eliminate pathogens such as viruses and bacteria from our water. Despite the benefits, chemical disinfectants like chlorine can have damaging effects on our bodies. When local governments use chlorine as a water treatment , the chemical combines with natural organic matter to form compounds called trihalomethanes (THMs), also known as disinfectant byproducts. These compounds are toxic when consumed, inhaled, or applied to the skin and can have lasting negative affects. Research conducted on the health effects of chlorinated drinking water demonstrate a variety of toxicity issues. The compounds in disinfected water may be able to reach the gut not only through our drinking water, but also through daily showers and baths. A recent post at the Food Renegade blog emphasized this idea, not only highlighting the harmful effects of chlorinated drinking water, but emphasizing the possibly greater effect that showers and baths could have on our intestinal flora . As we know, there’s a strong connection between asthma, acne , autoimmune conditions and the health of our gut flora. With all of this, its fair to think that a microbial imbalance within the body is made worse by all of the chlorine exposure. Showering and bathing in chlorinated water may expose us to even more chlorine and its byproducts than drinking disinfected water. While our bodies can filter out some of the chlorine from our drinking water, the THMs and other disinfectant byproducts we inhale during showers and baths may be much more harmful, since the chlorine gas we inhale enters directly into our blood stream. It’s especially easy for our skin to absorb the chemical as hot showers open up the pores (Via Global Healing Center). Even if you filter your drinking water, the amount of toxins you are exposed to from your daily shower or bath, through inhalation or skin absorption, may be cause for greater concern. Research has demonstrated that the cancer risk associated with chlorinated water may actually be due to showering and bathing, rather than drinking the disinfected water (Via Oxford Journals). This implies that many of the risks to our health from chlorine and other disinfectants and there byproducts may be related to exposure via inhalation or on the skin, and not limited to solely drinking. A single chloroform dose from a 10-minute shower is equal to, and possibly greater than, that from the average two liters of water ingestion on a daily basis. Improving the filtration of your shower and bath is just as important as the water you drink for these reasons. Chlorine isn’t the only disinfectant of concern for people. Its derivative, chloramine can also cause a lot of harm. Chloramine exposure may be even more damaging to the linings of the lung than chlorine, and may release ammonia as another toxic byproduct as well. The filters that remove chlorine don’t necessarily remove chloramine. Chloramine can be removed for drinking water purposes by our Aura Alkaline Water Filter. This filter can give you the certified healthiest drinking water, free from pollutants such as pathogens, heavy metals, and chlorine. There are no shower filters on the market that completely remove chloramine. The disadvantage to using them is they’re not as durable or effective as a whole house filtration system, and you would need a separate filter for each shower outlet in the house. There are, however, whole house water filters that remove chlorine, chloramine, and other contaminants. Our Whole Home Water Conditioner ensures that every drop of your water in your home, is the purest healthiest water on the planet. Works to removes cancer-causing chlorine and other volatile organic compounds from the water in your home. This entry was posted in Shower, Water Filter, Whole House System and tagged bacteria, birth defect, cancer, chloramine, chlorine, disinfectant byproduct, disinfectants, drinking water, EVO filter, EVO water conditioner, free radicals, pathogen, THM, toxins, tri halomethane, virus, water, whole house system on June 21, 2014 by Drink H2O.